25 January 2018 – PRETORIA – ITSI, the pioneering e-learning provider which enhances and simplifies the teaching and learning experience for both students and educators, is proud to announce that they have partnered with iSchoolAfrica and Jacaranda FM to provide Ntšha-Peu Primary School in Soshanguve with an iPad lab and facilitation. 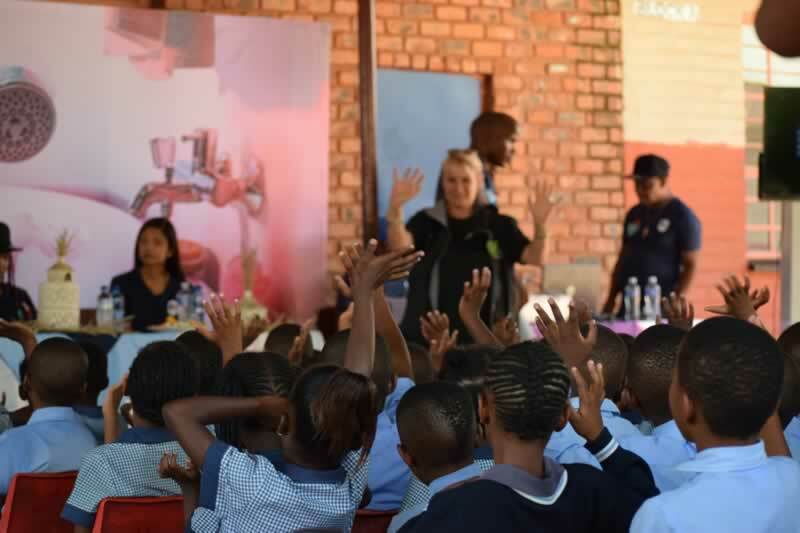 iSchoolAfrica in partnership with JacarandaFM began their outreach programme at the end of 2017 in an effort to bring digital technologies to disadvantaged communities. The general public was asked through a Jacaranda FM Angels drive to donate their old iPads at Jacaranda’s studio in Midrand. These iPads are refurbished and donated to unprivileged schools to start an iPad lab. The project encompasses more than just an iPad lab consisting of iPads, headphones, software, covers, charging station and more, it also entails in-depth teacher training and support from the iSchoolAfrica team. To enable iSchoolAfrica to effectively drive this initiative, corporate sponsorship is needed and for their roll-out to Ntšha-Peu Primary School, ITSI came on-board to financially assist their efforts. ITSI’s patented solution solves some of the biggest 21st-century challenges in education and training, by making learning visible, removing fragmentation, bridging the gap between traditional and cutting-edge teaching through researched-based practices and enabling learning anywhere, anytime. Foundation phase learners at Ntšha-Peu Primary will benefit from the content provided by iSchoolAfrica through a host of various iPad apps as well as content supplied by ITSI and some of its prominent publishing partners such as Pearson Publishing and Cambridge University Press.